HAWAII VOLCANOES NATIONAL PARK - A 700-acre brushfire that started Sunday morning on Keauhou Ranch crossed Mauna Loa Road into Hawaiʻi Volcanoes National Park and is moving west. 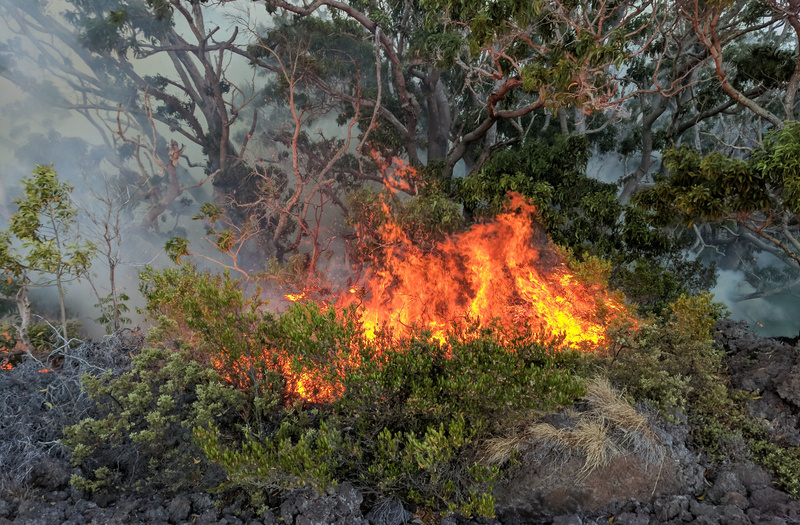 (BIVN) – A brushfire that started Sunday morning on Keauhou Ranch continued to burn on Monday. 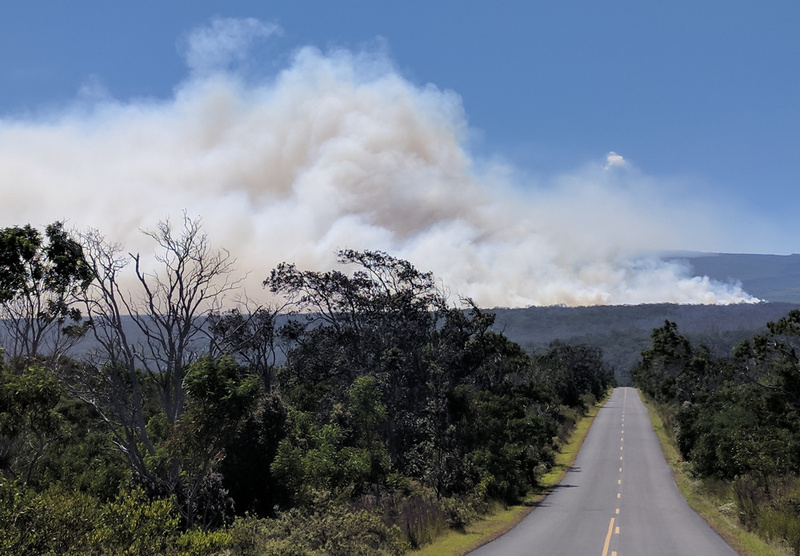 The blaze reportedly crossed Mauna Loa Road into Hawaiʻi Volcanoes National Park and is moving west towards Kapāpala Ranch, officials say. The 700-acres blaze is not contained at this time, a media release reported. National Park Service firefighters and the County of Hawaiʻi are working to control the blaze. The brush fire was reportedly sparked during repairs to a bulldozer, officials say. County of Hawaiʻi fire personnel are also working to suppress the fire outside the park, while firefighters from the Hawaiʻi Department of Land and Natural Resource’s Division of Forestry and Wildlife and volunteer firefighters from Volcano also responded.